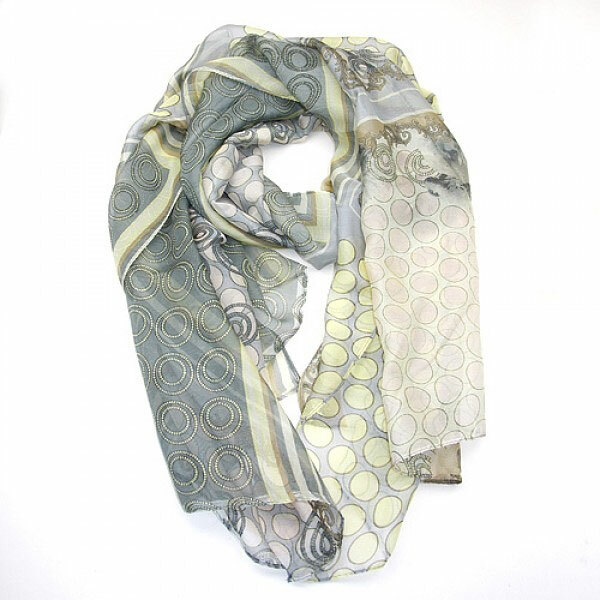 A light, long chiffon scarf with a spot and scroll design. The scarf is available in 2 colourways. 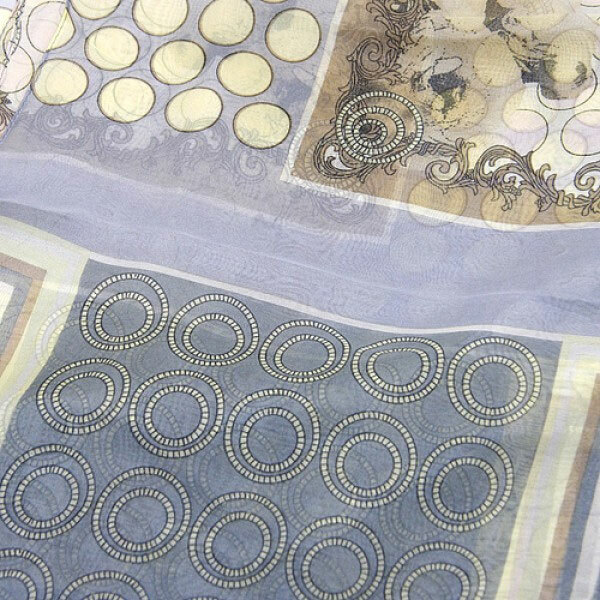 The one illustrated is in shades of blue / grey and soft browns and yellow. The other scarf - item 92751 on KIENA Online Shop, is principally in shades of orange. The scarf is 100% Polyester. Hand Wash separately.